You will find that efficiency is the key to having an easy removal. There is so much to be said for planning with the speed and ease of the move at the forefront of your mind. You will find that there is a huge amount that you can do in advance of the move itself to ensure that there is nothing left wanting of the removal, and you will no doubt see that these things can be put in to action from a very early point if you are organized about it! Having efficiency in your mind does not mean that the move has to be robotic. However, you can plan so that the whole thing moves along nicely and without a hitch, whilst still being very pleasant. It is all in how well you set things out, how well you get on with your removals team, and how calm you are about everything. Of course these three factors influence each other pretty strongly, and it is wise that you get started with the move preparation, finding the right removals company and ordering everything calmly as soon as you can. 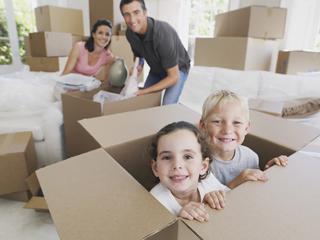 For a start, having a removals team that are on your side in terms of making the move efficient is essential. You should stress to them that you want the whole thing to work like clockwork from the beginning, but then ensure that you develop a rapport with them which ensures that you are not the slave driver, and everyone feels equally in control of the removal. You will find that this ensures that no one starts bossing anyone else around, and getting to know the team individually by saying hello to them beforehand, or even on the day of the move will help with this. Cost efficiency is important in a removal, but don’t cut any corners that are there for a reason. The expense of a removals company is totally necessary if you are going to get the job done well, and you will find that there is a huge amount to be said for spending a little extra on decent boxes and packing materials to ensure that your belongings are well protected. However, you may feel like this is a little much, and that is fair enough, especially if you can find decent boxes for cheaper online, or unused second hand. Do not, under any circumstances buy a load of tattered old boxes for the sake of saving money, as you will often find that the result is that they fail under the stress of the removal, and you end up with a serious problem on your hands in the form of some badly broken possessions. Efficiency comes with doing things well and at a decent rate, rather than rushing. If you are rushing it is likely that you are not doing the job right, and this is especially the case with packing. Packing is really boring, so it will be tempting to spend as little time on it as possible, and to rush through the process, getting things in to boxes as quickly as possible. Instead, limit the amount of time that you spend packing in each packing session to a couple of hours before taking a break. If you are wise with your planning, then you will be able to make it so that you only have to do two hours a day, which is very manageable. This is a much more relaxed and effective way to do things than rushing through it all!